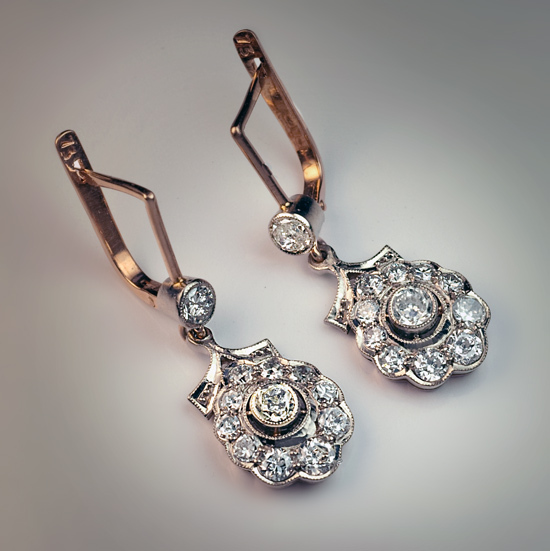 These Soviet era cluster earrings are crafted in white and rose 14K gold and set with 24 sparkling white diamonds. 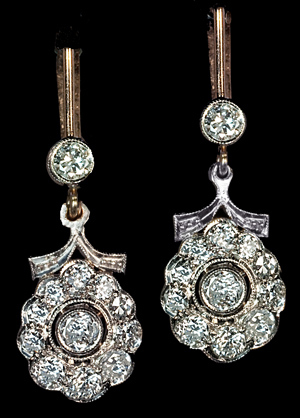 G-H color, VS1 – I1 clarity. 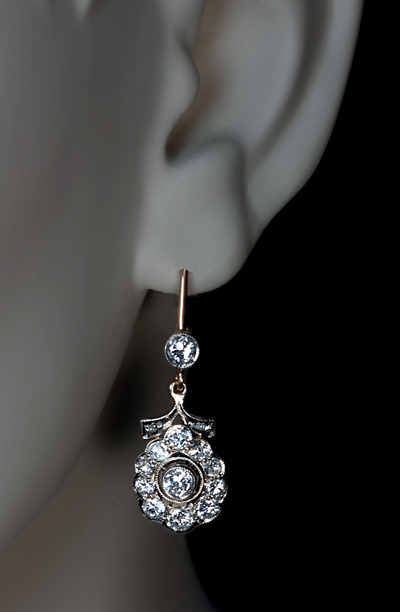 Estimated total diamond weight – 2.50 ct. 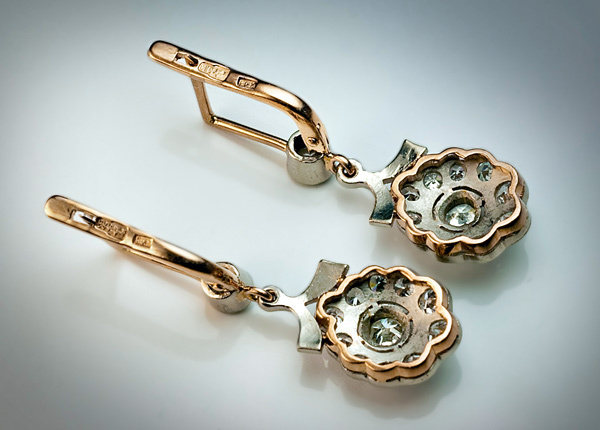 The earrings are marked with 583 gold standard (14K) / Kiev assay office.